Be inspired by your office-space. Work on water. The Wharf Company is a specialist Pyrmont commercial real estate agency that deals exclusively in Jones Bay Wharf property. If you are considering a move to Jones Bay Wharf, then let us guide you. We have access to all the owners and all available stock on the wharf including on and off market opportunities for sale and for lease. Located on the Pyrmont Point peninsular, Jones Bay Wharf offers world class commercial office space accommodation and a sense of timeless sophistication in Pyrmont right on Sydney’s magnificent harbour. Jones Bay Wharf – a modern symphony in commercial architecture, orchestrated on one of Sydney’s famous finger wharves and undoubtedly Sydney’s most sophisticated business address. 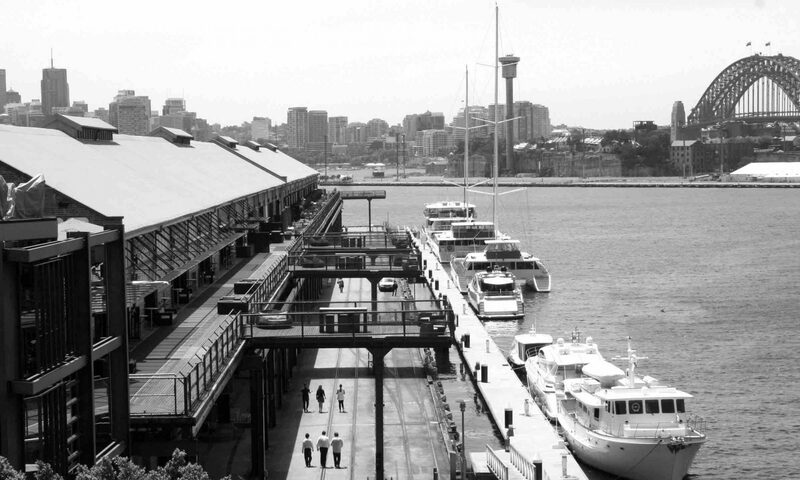 The Jones Bay Wharf, Berths 19-21, known also as the Jones Bay Finger Wharf, is of exceptional cultural significance as a remarkable port structure, whose size and classical modular design make it a landmark for Pyrmont and Sydney Harbour. N.B. The Wharf Company (NSW) Pty Limited is an independent company operated by a licensed commercial real estate agent and must not be misconstrued as representing the owners corporation(s) of Jones Bay Wharf. Jones Bay Wharf may be accessed by car, boat, water taxi, ferry, light rail, bus or private transport. Parking is available directly across the road from the venue in the Wilson/Jones Bay Wharf Car Park or at The Star Casino. You may enter the venue from the street level stairs or dedicated lift on Pirrama Road.